WHAT: In concert with the Discover Hartford Bicycle Tour, there will be a flat tire clinic. The instructor, Tony Cherolis, will demonstrate a basic bicycle tire change and discuss the steps involved. As desired the attendees will have the opportunity to practice the steps of a tire change on a bicycle wheel (and optional bicycle) they bring with them. The course will be outside, just like you are changing a tire on the side of a road. The best time to practice a tire change is when you "aren't" on the side of the road - and that's what this clinic is - practice. 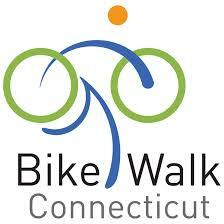 WHERE: In the parking lot behind 56 Arbor Street, the building that houses the Bike Walk CT offices. We'll hold the course outside even if it drizzles a bit, because in the real world it rains sometimes. If there is severe weather we will move the Flat Tire Clinic indoors to the lobby space at 56 Arbor. WHEN: Sunday, 9/15 at 4PM. How do I register? : Register online, below. Registration required so we know how many folks will be attending. Registration for each clinic is limited to 15 people. What should you bring? : If you want to get the most out of this, you will have the following. You can find all of these things at your local bike shop. Having the basics for a flat tire on your rides is a great idea. A bicycle wheel with tire and tube installed. It can even have a flat tire. You'll use this for your practice. If the tire is attached to your bicycle and you need a wrench to remove it - bring the wrench. A spare tube, no flats in this one. A bike pump. Floor pump, mini-pump, CO2 cartridge. A patch kit for bike tubes. I prefer the style with glue, not the self stick kind, but if you must use self stick I won't mind. A positive attitude. Actually, this should have been #1 on the list.